Safari Sunset has been growing strongly in the relative shade of the Stables - by the Stables Seat - for at least five years now. I suspect our frosts might trouble it in a more exposed garden border. 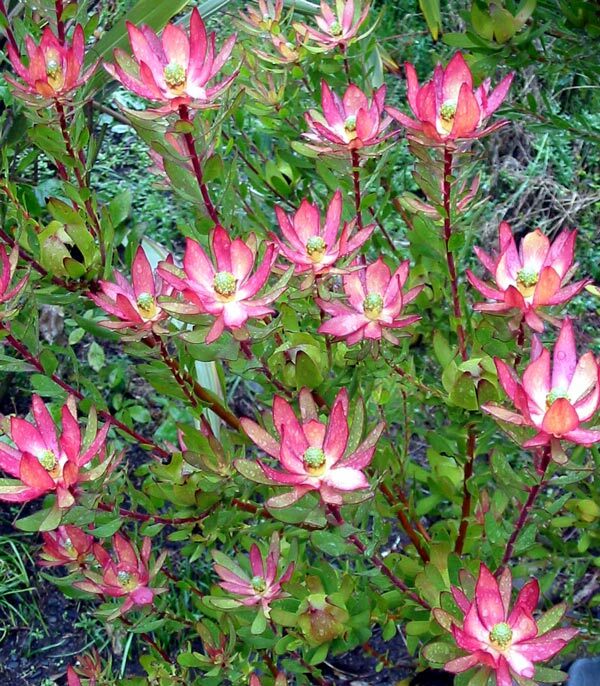 There are many beautiful hybrid Leucadendrons, all with different coloured flower bracts. We saw a beautiful garden display of different colours and sizes at the Mount Tomah Botanic Gardens in the mountains west of Sydney. They are originally South African shrubs.